IT COULD change the way disease is diagnosed and treated: millions of human tissue samples, their information stored in vast databases, allowing health researchers to trawl for patterns. The patterns could point to disease risk among population groups, and could one day lead to the possibility of personalised medicine. This sort of research is particularly important for Africa, whose populations are caught between infectious diseases, such as malaria, on the one hand, and lifestyle diseases, such as diabetes, on the other. Africans have historically been neglected in the field of genetic research. “The unique genome dynamics in African populations have an important role to play in understanding human health and susceptibility,” Wits University’s Prof Michele Ramsay, chairwoman of the South African Society for Human Genetics, wrote in 2012. A smartphone app that logs data on fish catches is giving small-scale fishers in South Africa hope they can persuade the government to allocate them more of what they regard as their traditional fishing rights. Abalobi, the app which is named for the isiXhosa phrase abalobi bentlanzi,meaning “someone who fishes”, aims to give small-scale fishers the data to empower themselves and convince others. 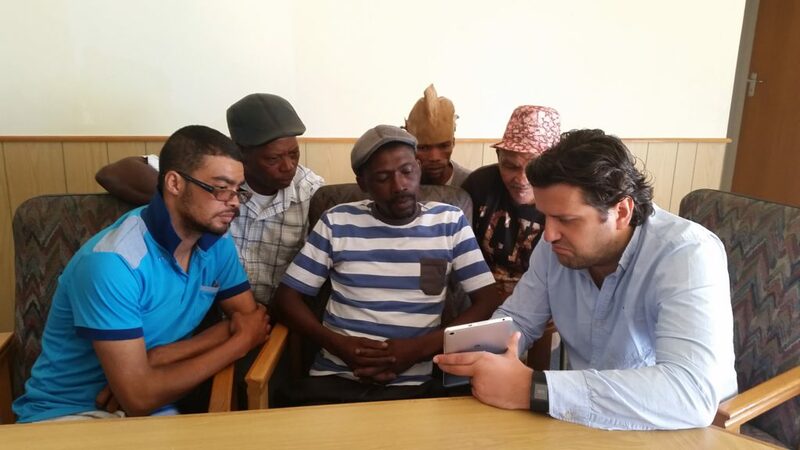 Co-produced by the University of Cape Town, traditional fishers and the new small-scale fisheries unit in the Department of Agriculture, Forestry and Fisheries (DAFF), the app lets fishers log their catches. They can record what they caught, when, where, using what method and how much they sold the fish for, among other things. For more, find the article — originally published in The Guardian — here. It’s going to be a long time before I sit through another closing ceremony like that of ESOF2016. Usually, in a post chronicling of the day, I’d offer you some form of chronological structure, but this was just too good: tinged with entertainment, nostalgia and a serving a discomfort. We shuffled into the hall like disinclined cattle – it had been a long day – and there were about three dozen women (and two men) forming a semi-circle on stage. They watched us take our seats, and began to sing. As the choir warbled the first bars of close-harmony a-capella, I flushed with flashbacks from my all-girls school education, where crowd torture by reedy voice was part of the offering. There was the wave of relief when they all hit the same note, the cringe when we weren’t sure if they did, and then we heard what they were singing: modern break-up songs. A Manchester choir was singing break-up songs to a predominantly European audience, a month after their country decided to leave the European Union. It was priceless, with strains of “Am I going to be an optimist about this?” and “Hello from the other side” filling the red-velvet cushioned hall. I recognise this is funny to me ’cause I’m not British or European, but the world might be a better place if nations serenaded each other more often. It could be a whole new form of diplomacy. The next EuroScience Open Forum will take place in 2018 in Toulouse, France. Although not quite as startling as the closing ceremony, this third and final day also offered some surprises, namely the best sessions I’ve been to this ESOF. Some of them got so interesting that I had to stop live tweeting them and take more careful notes for the many stories that the sessions germinated. It started, rather ironically, with an early morning session about hacking your sleep cycle. Most of the presenters admitted that it was too early for them and there was a certain camaraderie in the fact that all of us, speakers included, were rather disgruntled at being awake. For many of us, that is completely justified: our body has a certain rhythm (the circadian rhythm) which is unique to each of us. Some people are larks, some people are night owls. For a long time, it was thought that this natural internal rhythm was regulated by the brain. But researchers have found that every cell in the body – fat, liver, muscle cells, you name it – has the ability to “generate its own master clock”, Foster says. These cells all have a 24-hour cycle of their own, so your body is more of a “circadian network” than a servant of a time-keeping brain. When this network is out of whack, things start going wrong. Disrupting the links between different clocks causes metabolic problems, says Dr Akhilesh Reddy from the University of Cambridge. “Jet lag, for example, as you’re adjusting, you almost become diabetic in the way you handle glucose,” he says. You’re also more susceptible to viruses and more at risk of other diseases, which has serious implications for people who do shift work or are perpetually jetlagged. While people in those sorts of jobs require more targeted interventions, if you, dear reader, think your sleep rhythm is off kilter, Alexis Webb suggested some cool apps to help you out, such as Night Shift on iOS9 and myCircadianClock. The session on the “mad mob myth” also offered food for thought – and stories. According to Martyn Amos, of Manchester Metropolitan University, the idea of the “mad mob” is a “zombie idea”: it just won’t die. The consensus of the panel is that there is actually no such thing as a mad mob, a group of people who through osmosis or “infection” (I’m speaking figuratively) take on a hive brain mentality. “There’s this idea that everyone is motivated in the same way, trying to achieve the same goals, but there is no proof that this is actually happening,” says Otto Adang, a behavioral specialist with the Police Academy of the Netherlands. This is an important area of research, particularly for South Africa where we have seen a spike in the number of protests, most of which turn violent. Usually, he says, only a minority is violent – “If it’s 10%, it’s a lot. Usually less.” Others may support the ones who are violent, but they do not actually perpetrate acts of violence. Adang also distinguishes between the causes of violence in a protest and the escalation of violence. “Friction” – a jostling of agendas and behaviours between police and protests, for example – can trigger violence, or what Adang calls “young male syndrome” in which, well, young men go looking for a fight. Escalation is usually premised on a perception of getting away with it: if individuals in the protesting crowd think that they can get away with the violence without the risk of consequence, then you’re more likely to see stones being thrown. But ultimately, it comes down to individual choices. “Mentorship is important in all fields, but it’s particularly important in science,” says Dr George Smoot. Ten years ago, Smoot won the Nobel prize for physics, after he discovered the cosmic microwave radiation background, the ancient radiation left over from the Big Bang. Last week, he was one of 29 Nobel laureates who, along with about 400 postgraduate students from 80 different countries including 11 from South African, descended on the German town of Lindau. The Lindau Nobel Laureate Meeting, in its 66th year, aims to bring together Nobel laureates and young scientists to inspire and share knowledge, as well as form networks and collaborations. The concept of mentorship, however, is not intrinsic to South Africa’s academic space – or industry, for that matter. While Rosanne Diab, the executive officer of the Academy of Sciences of South Africa, agrees that mentorship is “absolutely critical to one’s success in a career”, “the whole idea of mentorship is not something that’s common in many of the disciplines, particularly humanities and social sciences”. While there are examples of good mentorship, the process is not formalised in South Africa’s universities. “A mentor is like a supervisor who you look up to, but also a life coach … someone to help you through,” Diab says. She points to the department of science and technology’s internship programme, which each year places unemployed science graduates into internships within the department’s agencies and units. “Many of these graduates have excellent academic qualifications, but are unable to find a job,” Diab says. “If you explore further, you’ll find that they are lacking a network, a mentorship to help them and connect them, guide them through this process. This lack of network and mentorship affects previously disadvantaged students keenly, particularly black women. The latest National Survey of Research and Experimental Development Survey, released in May, found black women accounted for 12% of researchers at universities in South Africa in 2013-14. Despite being the largest demographic group in the country, there were just more than 2,100 black women researchers in the humanities, social sciences and natural sciences. There were 18,212 researchers in the higher education sector in 2013-14. White men accounted for the largest percentage at 28%, followed by white women (27%) and black men (18%). Indian men and women (both at 4%) and Coloured men and women (both at 3%) held substantially lower percentages. Black women academics also had the lowest percentage of PhDs. Thomas Ellerbeck, a member of the board of the Lindau Nobel Laureates Meeting, says: “The world is much more complex than it was 10 years ago,” he says. “Getting different views on your behaviour, on how you make decisions, it helps you to develop and grow. This is not only something for people in academia and universities. It’s also in business. There is a point in young people’s lives or businesses when they have to make important decisions, and it is useful to have someone to advise them, he says. Mentorship, like society and science, is evolving. Smoot says that in the past, it was important because a lot of science and laboratory techniques were passed down as “lore”. 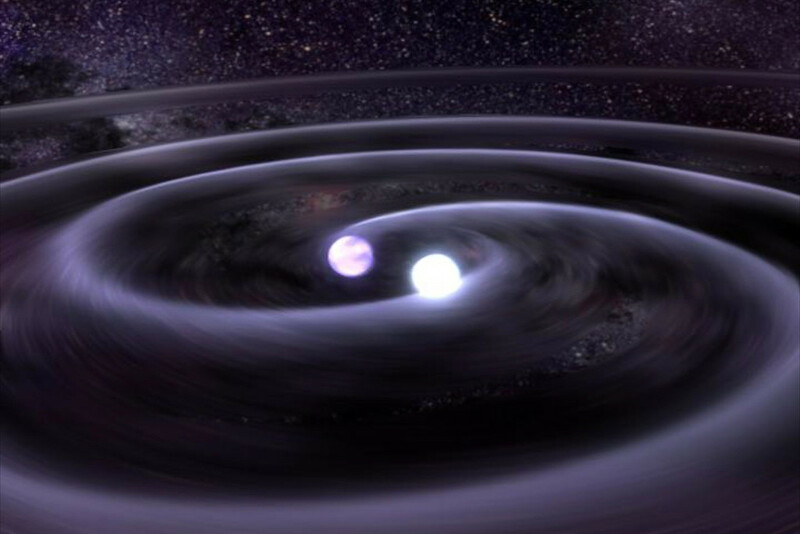 “There are plain textbooks that explained physics to you, there are not so many textbooks that explain to you how to be a theorist. There are almost no textbooks that explain to you how to be an experimentalist,” Smoot says. There’s a bright-eyed eagerness to the first day of a conference. People bustle from session to session, take notes while speakers talk, and are prepared to wait their turn in the line for coffee. In two short days, the polite veneer rubs off. The coffee queue will become a mosh pit, all elbows and crazy-eyed feral grins. Session attendance begins to drop in favour of ‘business meetings’ (which could be naps, catching up on the work you’ve been missing, or tending to a coffee-related injury), and rather than meticulous note-taking, we’re try to make a mental note of the speaker’s name. But on day one of the EuroScience Open Forum, everyone was still putting their best foot forward, including the bustling city of Manchester around them. The sun even shone for about 10 minutes. Now, let’s be honest, having a European science conference in a British city a month after the United Kingdom with some colourful language and rhetoric decided to quit the European Union was a bit /cough/ awkward. But, in suitably British fashion, everyone adorned the proverbial stiff upper lip and got on with it. 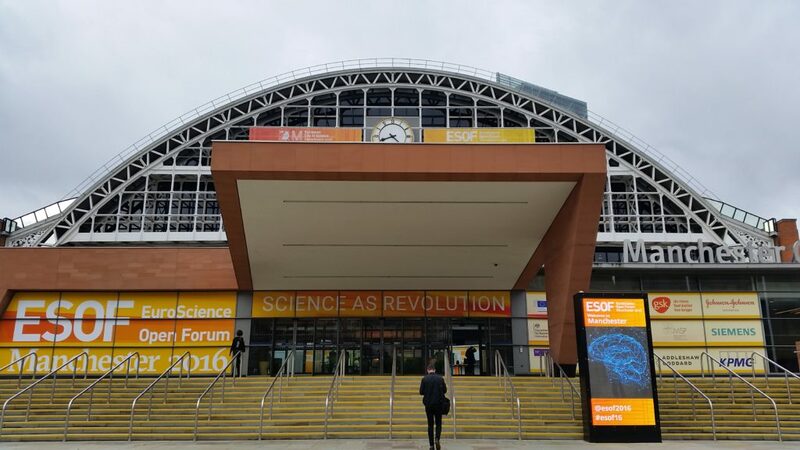 “At its core, ESOF is a European event, and Manchester and the university will remain irrevocably part of Europe,” Prof Dame Nancy Rothwell, Manchester University vice-chancellor, told the opening ceremony on Sunday night. It must be said, though, the unspoken sentiment hanging over the room like a cloud was that 52% of UK voters did not agree with her. That cloud could, of course, been the result of the smoke machine that kept the event atmospheric, complemented by a riff from FatBoy Slim (something I don’t think I’ve ever heard at a event in my years as a science journalist). And then there was the science. Let’s start with the bad news: pandemics are getting more frequent and they are getting more severe. That is not fear mongering, that’s the consensus of the panel “The next plague: preparing for global pandemics”, bringing together experts from industry, the media and government. Zika, Ebola, SARS – we are seeing an uptick in mass disease outbreaks, for – in retrospect – obvious reasons: people are moving to live in cities which are beginning to burst at the seams, they travel to other cities more often and as the world’s population grows we’re encroaching into more natural wilderness and disrupting natural ecosystems – urbanisation, globalisation and, er, destroying habitats-isation. So, we know this is coming: what do we do? Well, it’s complicated. No one – government, industry, NGOS – can to it alone, that’s for sure. There are huge logistical challenges. Who has the money, in advance, to prepare vaccines for a crisis that hasn’t happened? Sir Andrew Witty (from pharmaceutical giant GSK) made an important point: Let’s say there is a vaccine sample, and it’s kept on ice until it’s needed: “Do we even have a billion glass vials” on Earth for when we need to mass produce it? Paul Stoffels, chief scientific officer for another big industry player Johnson&Johnson, said: “In peace time, we have to prepare for war.” He mentioned a collaboration between government, industry and research institutions to have vaccines/research at the proof of concept stage, so that it is easier to ramp up its development. The first ebola dead was a boy just after Christmas 2013, Garret answered. It took “nine months of death and horror before there was even a state of emergency”. International resources were deployed from about October 2014, she says. But Liberia’s outbreak had peaked before then, and was on the decline. “Liberia took care of Liberia,” Garret said. “It was social mobilisation on a scale unprecedented for them.” They did that without the latest technology, which only arrived later. I started with the bad news, but I’ll end with the good: by piecing together the information I’ve gleaned at ESOF16, the robot over lords will allow me to keep doing my job. Times are tight for people in creative industries aka “creatives” – incidentally, that’s a term I deplore. It sounds as though I shloomph through the world in hemp drawstring pants, while I sip spinach juice from a paper mache champagne flue. Or I’m in a spangly outfit, drinking actual champagne on a yacht. It gives people mixed signals. Neither are true. Someone would have to pay me substantially more if it was. As I was saying, those creative industries are unlikely to become redundant when the machines take over our jobs. In the session “Flying cars, quantum computers – where disruptive technology meets regulation”, Manchester University’s Prof Nikolay Mehandjiev said that creative professions were more likely to survive disruptive technologies that many others. “Data scientists are in demand today, but in time they will be replaced by machines. If I were a taxi driver, I’d be reprofiling today, not waiting for autonomous cars,” he said. Disruptive technologies “change our society, the way we live, work, entertain ourselves”. Some jobs become redundant. For example, when did you last meet a blacksmith? Most innovators are told to think about what their audience wants, to model their offering, innovation, hoverboard, whatever, around what people want. That is usually sound advice. But disruptive technologies actually do the complete opposite: it’s a technology push, not a customer demand. If you had asked people before cars what kind of vehicle they wanted, “they would have asked for faster electric horses”, Mehandjiev said. When asked who in the audience wanted autonomous cars on the roads, it was a complete shock – a complete shock, I tell you – when everyone raised a hand. It’s easier to regulate when there’s consensus, said Mairead McGuinness, vice-president of the European Union. But when the technology is controversial, well, that’s a whole other sword fight. Unfortunately, the latest technologies – the ones most likely to disrupt societies and change lives – are the controversial: Crisper-Cas9, synthetic biology and gene editing; big data and privacy; and artificial intelligence and the upcoming robot invasion.